My wife and I are avid cyclists and decided to slow the pace down for a "chillaxing" 5 days in Menorca. The beaches were wonderful and the accommodation was "over the top". 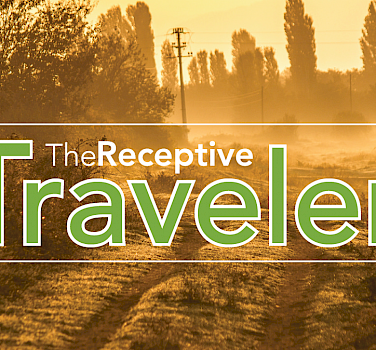 I would love to be a receptive traveler! I think what you are doing is wonderful! We absolutely LOVED the Albanian Highlights Tour. It was everything the description promised and much more. I would rate it A+++ (and higher) for the quality of the guiding, equipment, meals accommodation, snacks, and cultural experience. Junid and Armand were so organized and treated us like treasured family guests. No corners were cut, right until every last one of us was dropped off at our individual destination on the final day. Definitely value for money. I will admit that the terrain and elevation (up and down) was challenging for both of us, but we felt a great sense of accomplishment that we were able to rise (literally) to the demands. The description of 'moderate to difficult' is accurate. The van was always there if we needed it, and thankfully we didn't. But back-up for a flat tire or other unexpected problem was not far behind. In my opinion, cycling (or riding in the van) with 'Cycle Albania' is really the only way to experience Albania to the fullest.